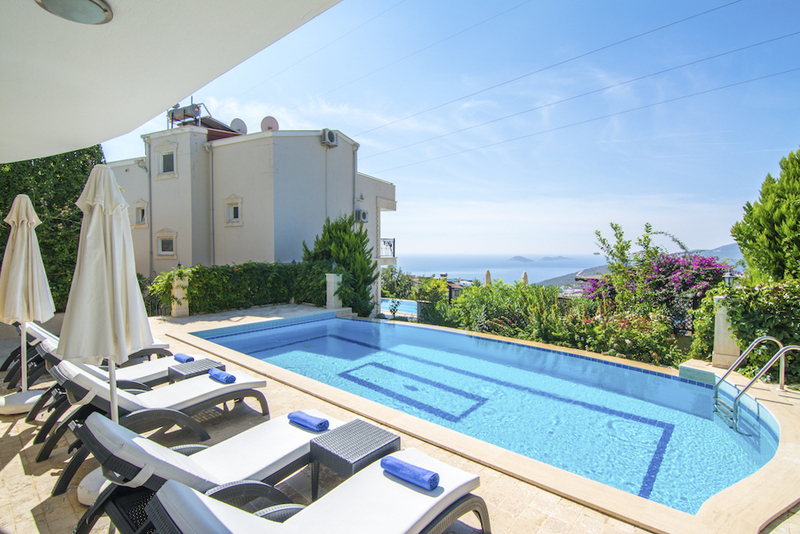 Three-bedroomed Villa Seker in Kalkan Bay, a quiet turquoise cove on the Turkish coast, is a luxurious three-level, sea-facing villa with a beautiful outdoor sun terrace decked with cushioned loungers and a sizeable 10-metre swimming pool. 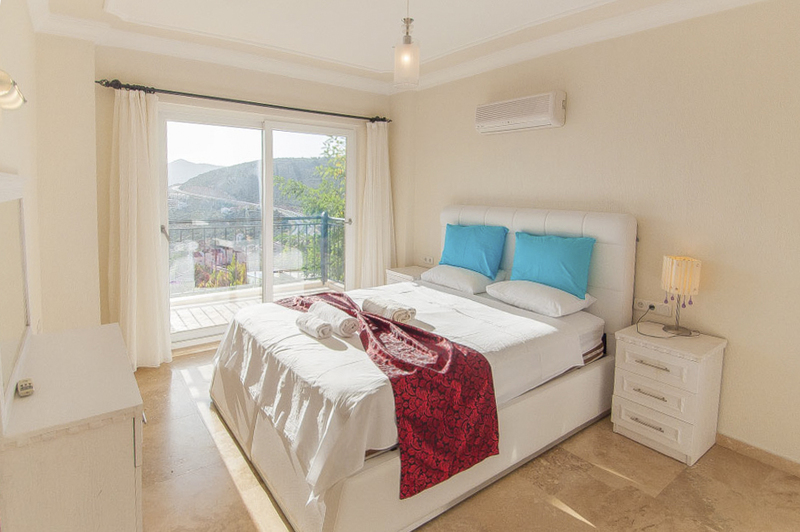 The best of both worlds, you’ll enjoy a quiet location, set against the Taurus Mountains, that’s within walking distance of livelier Kalkan town. 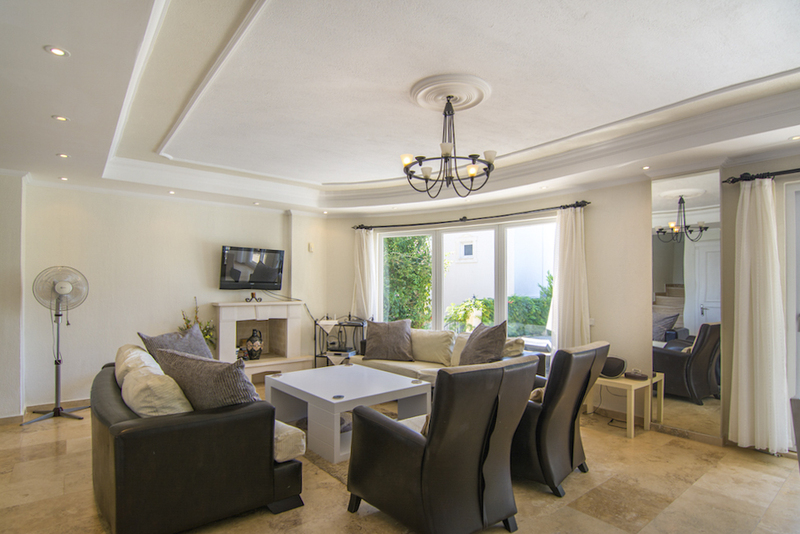 The villa has all the ingredients for a relaxing family-friendly holiday. 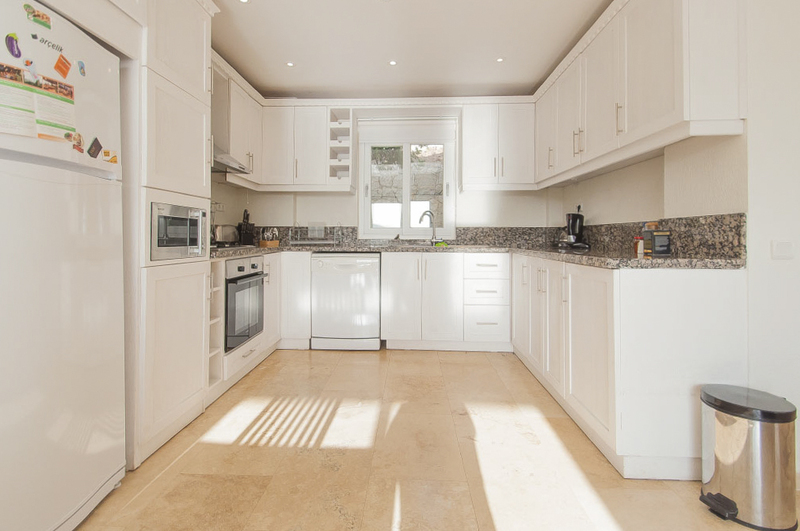 It’s fully air-conditioned, can comfortably sleep up to six and is only 2km from a mini-market, local greengrocers and restaurants.. There’s a spacious and modern open-plan kitchen, living and dining area kitted out with a dishwasher and coffee machine, alongside comfortable sofas and a table for chilled evenings in. Opening the patio doors onto the pool terrace, you’ll be greeted by those fabulous views of the bay. 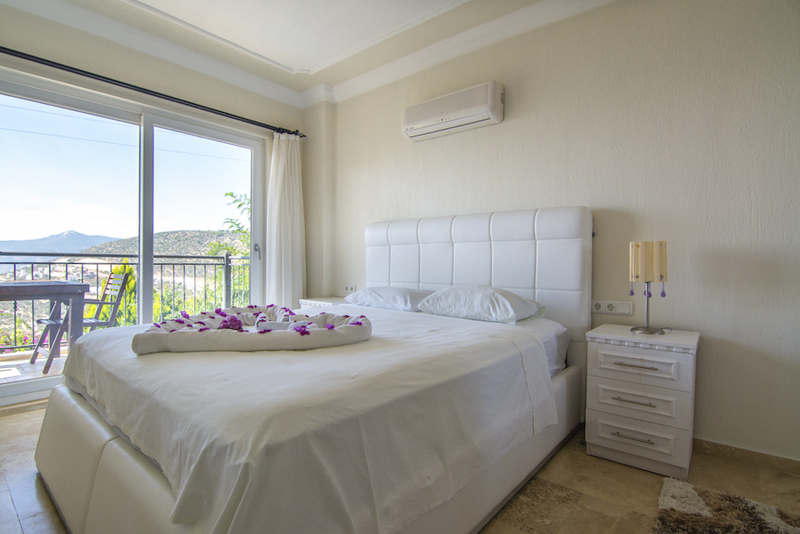 The three bedrooms are all decorated modern in style and have balconies or terrace access – again showcasing the vistas and letting in plenty of light. 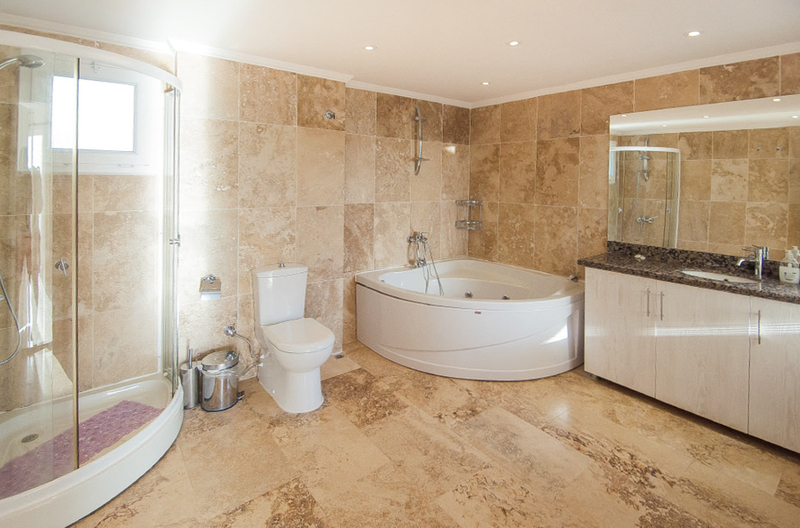 There are three marble bathrooms, including a Jacuzzi bath in the master en-suite for a relaxing experience after a day of exploring the area. Extra ‘luxe’ features include internet access, a satellite TV and DVD player. 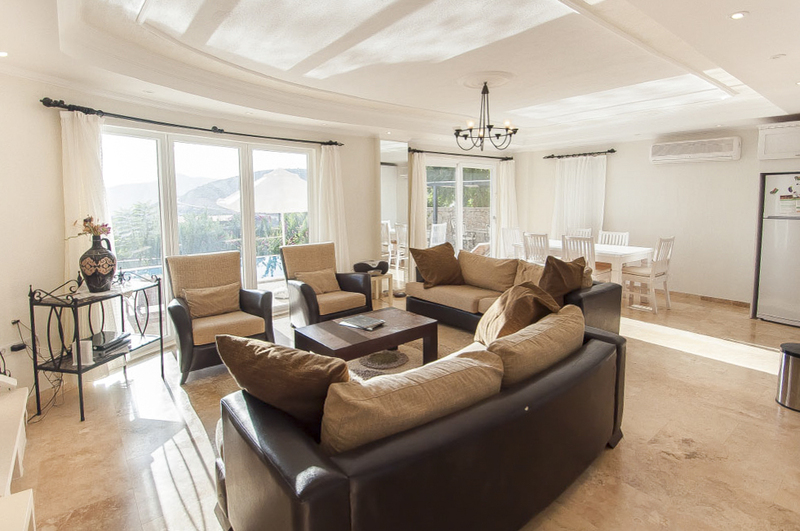 Life at Villa Seker centres around the outdoor sun terrace with a built-in BBQ and luxury wooden sunbeds and chairs. 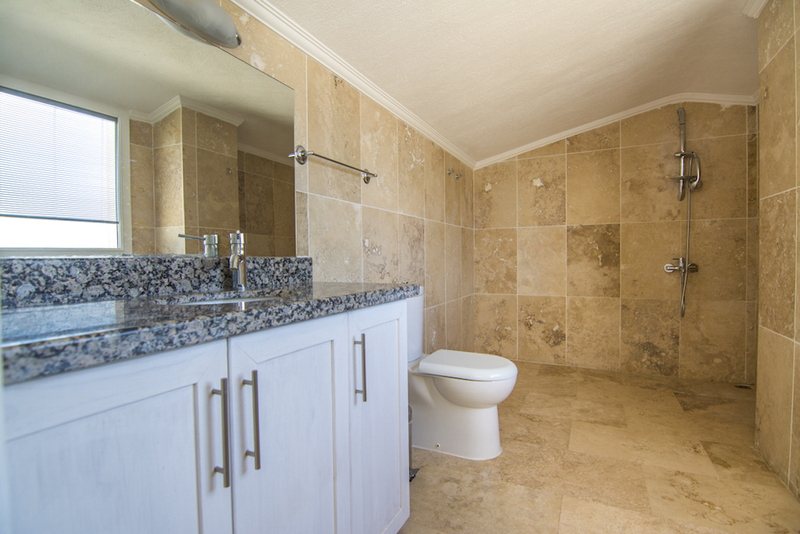 There’s a convenient pool-side shower so you can rinse off before laying back in your prime sunbathing or shaded reading spot. 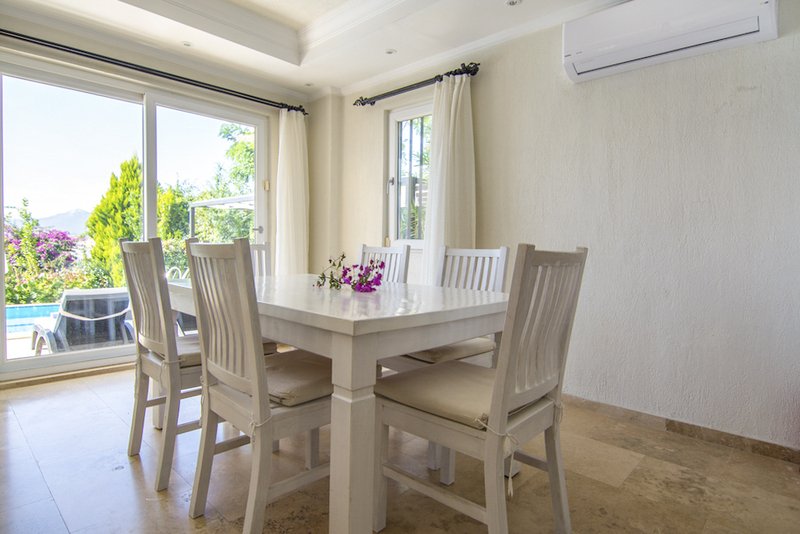 For al fresco dining, there’s a beautiful, shaded area with a marble table that affords views over the pool, bay and the villa’s pretty garden. 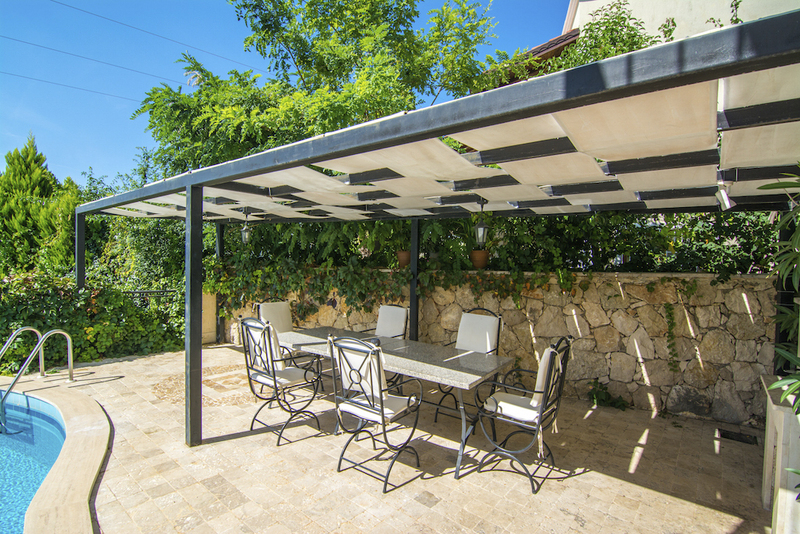 Peaceful and secluded, the villa is surrounded by a stone wall, and the grounds are dotted with plants and trees. Not essential to hire a car as taxis are readily available but car hire would give you more opportunities to explore the local area. 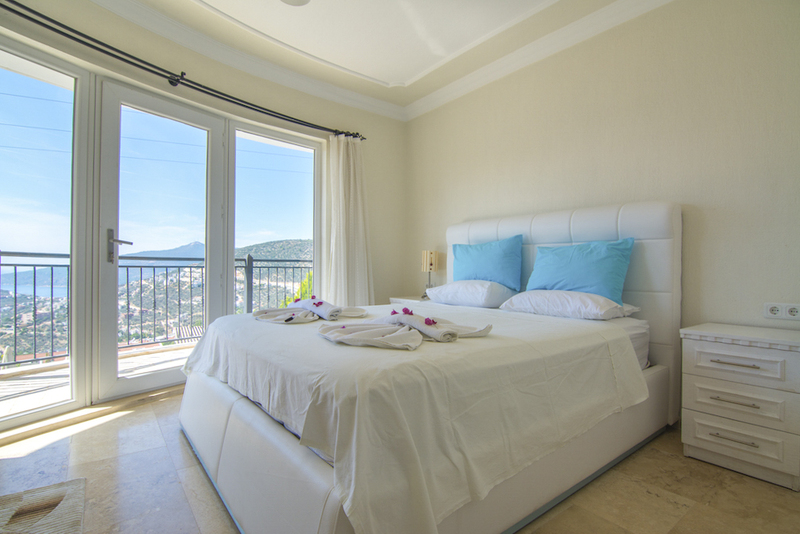 Villa Seker overlooks Kalkan Bay on Turkey’s Mediterranean coast. The quiet cove, a 1.5km walk away, is a favourite place for swimmers because of its crystal-clear turquoise waters. Kalkan has various beach clubs scattered around the rocks and a pebble beach there are lots of options for sunbathing and swimming. You can also take part in water sports like scuba diving or jet skiing. 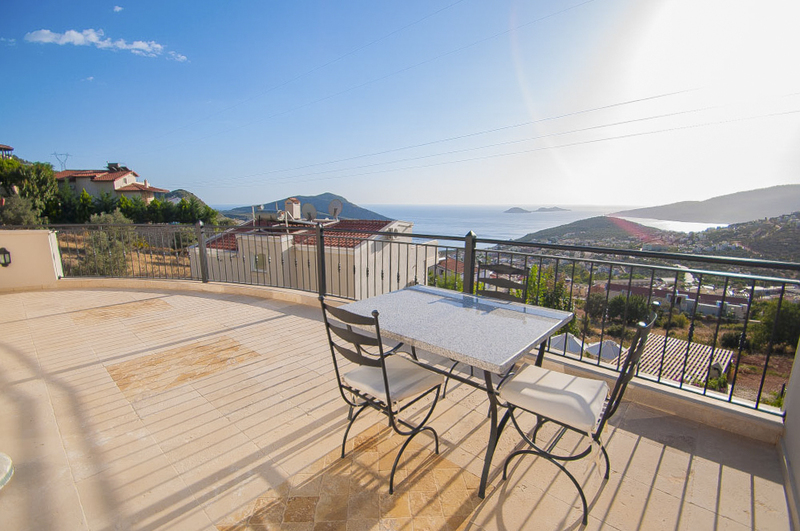 Kalkan benefits from the majestic pine tree-lined Taurus Mountains as its backdrop. 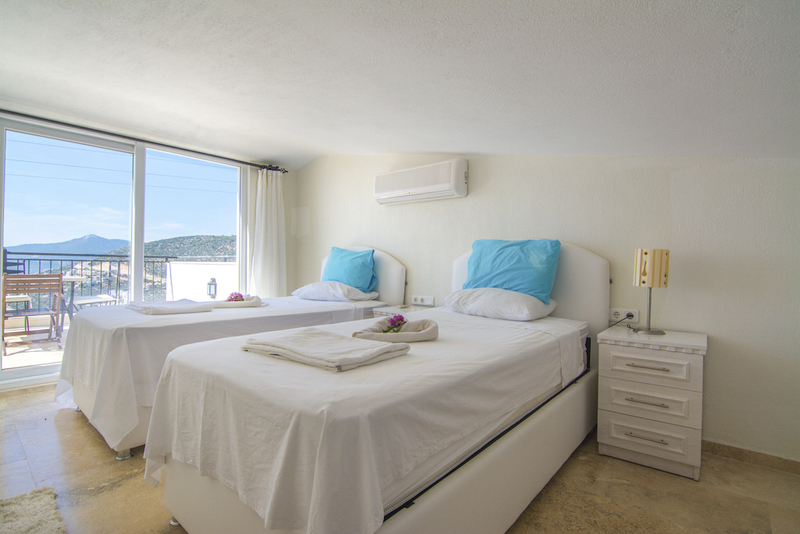 From the villa, you can walk to Kalkan centre, where you’ll find an exquisite harbour dotted with colourful boats and lined with local restaurants. Note, it's a steep downhill walk. There’s also a beautiful and historic old town which extends back from the sea. You can meander through the streets, admiring the traditional whitewashed houses draped in brightly coloured bougainvillaea flowers or dine at one of many roof terrace restaurant with spectacular views of the town. To relax take a Turkish Bath and enjoy the seaviews from one of the beach clubs. Of an evening dress up to wander the cobbled streets, enjoy a cocktail by the harbour and a dinner watching the sparkling lights of a rooftop restaurant. To immerse yourself in the rich history of this charming part of Turkey, you can visit the church turned mosque by Kalkan's harbour, enjoy the ruins of one of the many Lycian sites or venturing furthering afield you can take a boat trip to the small island of Kekova where you can snorkel and explore the part-sunken ruins of Dolchiste, an ancient town which was destroyed by an earthquake during the 2nd century. If you need to cool down from a days sunbathing take a drive up to ones of Islamlar's Trout farm restaurants, and enjoy a feast of pan friend trout, fried cheese, freshly picked rocket and village bread. Another cooling adventure can be had at the nearby Saklikent Gorge, walking along the gorge's cooling waters. For more outdoor adventures, the dramatic Taurus Mountains with tree-lined hills and deeply cut canyons beckon. The popular Lycian Way – a long-distance footpath that takes you around the coast – is also a must visit. The route stops at spectacular sites including the ghost village of Kayakoy near Fethiye, with abandoned Greek buildings, alongside unspoilt remote beaches. The more bohemian town of Kas is a 30-40 minute drive, while the seaside resort town of Fethiye is a one-hour drive away.